The great intellectual movement of Renaissance Italy was humanism. The humanists believed that the Greek and Latin classics contained both all the lessons one needed to lead a moral and effective life and the best models for a powerful Latin style. They developed a new, rigorous kind of classical scholarship, with which they corrected and tried to understand the works of the Greeks and Romans, which seemed so vital to them. Both the republican elites of Florence and Venice and the ruling families of Milan, Ferrara, and Urbino hired humanists to teach their children classical morality and to write elegant, classical letters, histories, and propaganda. In the course of the fifteenth century, the humanists also convinced most of the popes that the papacy needed their skills. Sophisticated classical scholars were hired to write official correspondence and propaganda; to create an image of the popes as powerful, enlightened, modern rulers of the Church; and to apply their scholarly tools to the church's needs, including writing a more classical form of the Mass. The relation between popes and scholars was never simple, for the humanists evolved their own views on theology. Some argued that pagan philosophers like Plato basically agreed with Christian revelation. Others criticized important Church doctrines or institutions that lacked biblical or historical support. Some even seemed in danger of becoming pagans. The real confrontation came in the later sixteenth century, as the church faced the radical challenge of Protestantism. 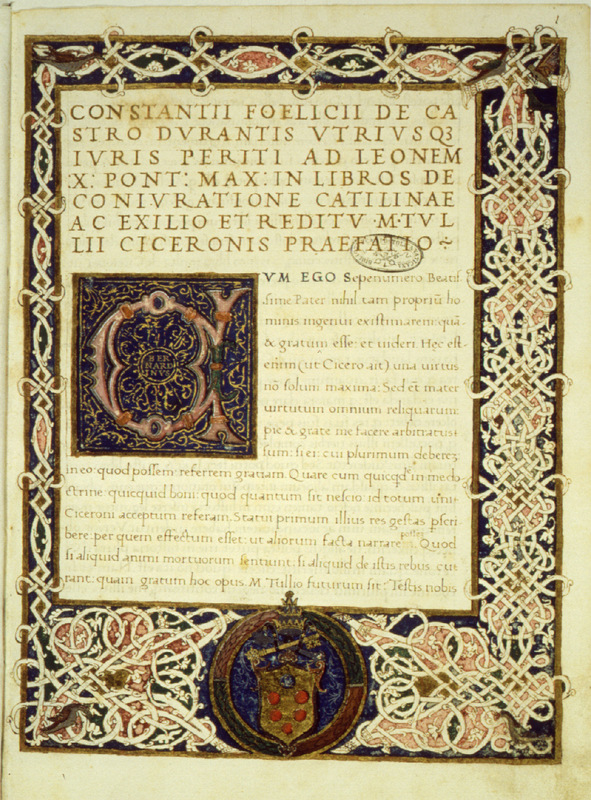 Some Roman scholars used the methods of humanist scholarship to defend the Church against Protestant attacks, but others collaborated in the imposition of censorship. Classical scholarship, in the end, could not reform the Church which it both supported and challenged. 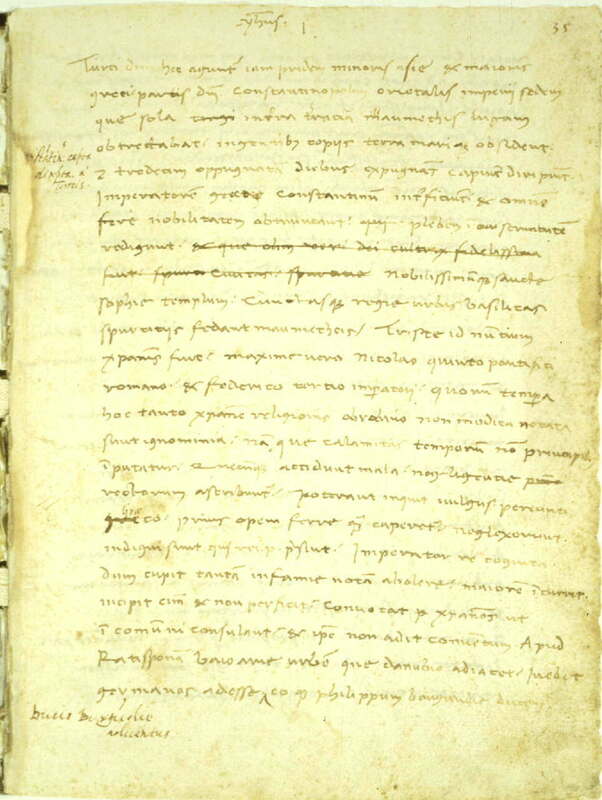 In the High Renaissance, Rome was the center of the literary movement known as "Ciceronianism" that aimed to standardize Latin diction by modelling all prose on the writings of Cicero. The leaders of the movement hoped thereby to make Latin usage more precise and elegant; they also hoped to establish a kind of linguistic orthodoxy maintained by the authority of Rome. Pietro Bembo and Jacopo Sadoleto, Pope Leo X's two Latin secretaries, were the leaders of the movement. Bembo, famously, took an oath no use no word that did not appear in Cicero. Although Cicero had been admired and imitated by Renaissance humanists from the time of Petrarch on, now admiration was elevated almost into worship. One example of this maniacal Ciceronianism is this "History," written by an ambitious young cleric for presentation to Leo X. In it, Costanzo Felici confected a politically-correct revision of Sallust's "Catilinarian Conspiracy," in which Cicero's role in suppressing Catiline, largely dismissed by Sallust himself, was magnified to superhuman proportions. Although humanists had thronged the papal court since the beginning of the century, Pius II was the first real humanist to sit in the chair of Peter. Born in Siena as Enea Silvio Piccolomini, he acquired a reputation as a diplomat, belletrist, and womanizer, and was crowned poet laureate by the Emperor Frederick in 1442. After serving the emperor and the anti-Roman Council of Basel, Piccolomini joined the Roman camp in 1446. He became a cardinal in 1456 and in 1458 was elected pope. As pope, the only work of scholarship he was able to continue was his "Commentaries," a remarkably frank autobiography in which he put his passions and prejudices on full view. In the passage shown here, Pius expresses his bitter contempt for the French, who had been unwilling to join his crusade against the Great Turk. You can also walk back to the Main Hall.